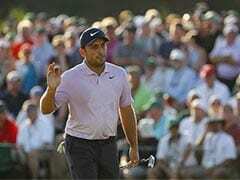 Chaska: Arnold Palmer did not live to see the 41st Ryder Cup, but US captain Davis Love said he was still looking out for the Americans in Sunday's 17-11 victory over Europe. "Arnold was watching over us this week," Love said. The golf icon, who played on six triumphant US Ryder Cup teams and twice captained Cup winners, died last Sunday at age 87 as players prepared to gather at Hazeltine. US players won seven of 12 singles matches Sunday to complete the victory and snap a three-Cup losing streak. "This week has been played under the shadow of Mr. Palmer's passing," Europe captain Darren Clarke said in the closing ceremony. "But I'm sure he is up there looking down on us all with a smile on his face." Palmer was far from forgotten during the week. In fact, his name came up several times. The US men swept the opening series 4-0 for the first time since 1975, when Palmer was the US team captain at Laurel Valley for a 21-11 triumph. 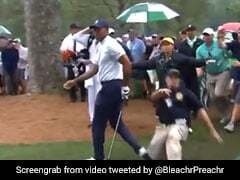 Patrick Reed, who led the Americans with 3.5 points, and Jordan Spieth reached a combined career total of five points as a partnership, matching the US Ryder Cup all-time record established by Palmer and Gardner Dickenson. And every US player scored at least one point in the most lopsided US triumph since 1981, a feat last accomplished in 1975 by Palmer's winning side. And the Palmer golf bag on the first tee this week in tribute to him -- that was from his 1975 captaincy as well. Coincidences? Possibly. But even Love noted, "We had some interesting things happen this week." It was a strange week but one in which dozens of golfers from both teams could share stories and help each other deal with their grief. "The death of Arnold Palmer cast a kind of a dim start to the week," Love said. "And then we bounced back from that, because we were all together, and now get to celebrate in the end." Ryder Cup players for both teams wore pins paying tribute to the "King," the nickname Palmer earned for his popularity on and off the course. 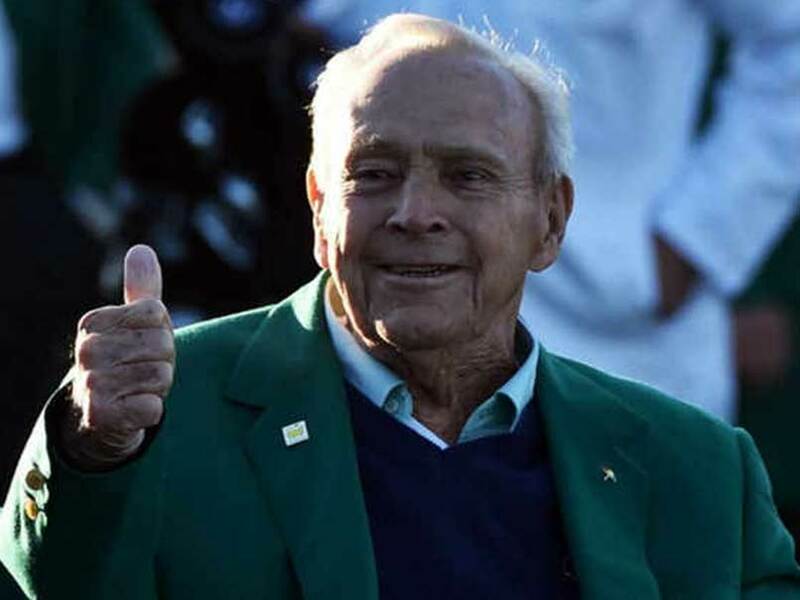 Palmer's charisma inspired "Arnie's Army," a devoted legion of followers who attended events and helped him make golf a popular television sport, paving the way for modern golf tours and rich players. Jack Nicklaus, the 18-time major winner who was Palmer's long-time rival, opened the Ryder Cup on Thursday by saying, "We all feel his loss and we dedicate these games to his honor." And as Love put it, "This one's for Arnold."